The Richest turns the Hendon Mob stats into a full blown article. One of these two guys sits atop the list. 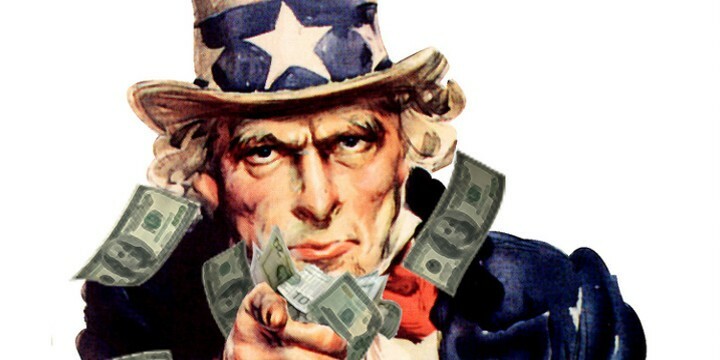 There are two ways you can find out who is on the top of the All Time Money list. Of course, you can go to the Hendon Mob and click a link which is constantly updated or you can check out the latest poker offering from TheRichest which helps neophytes get to know a little bit about each of the players and how they made their money. Actually, even for the grizzled vet, the click-heavy article isn’t that bad. 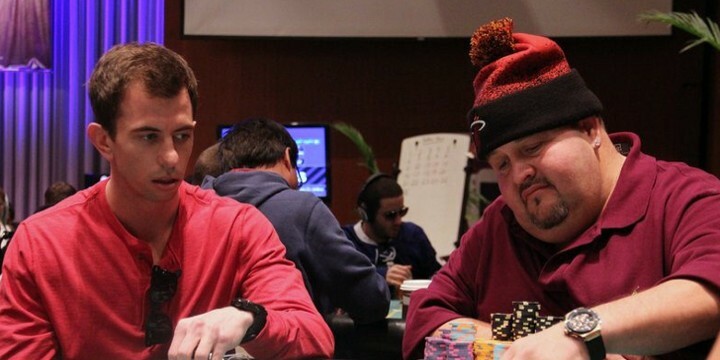 From the poker world’s perception of WSOP Champ Jamie Gold to references to Michael The Grinder Mizrachi's tax problems to Antonio's humility about his big win, it’s a good digest on who’s who at the top of the cash pile. Comedy and cards all benefiting Children’s Mercy Hospital of KC. In the area? Save the dates! Three of the funniest people on the planet are headed back to their hometown of Kansas City to host the 2014 The Big Slick Poker Tournament and Party. With proceeds to benefit the children of the Children’s Mercy Hospital of Kansas CIty, the comedians roll in with a ton of their hilarious friends all to raise money for a good cause. So, even though it’s a ways off, put June 20 and 21 in your calendar and join these celebrities on the felt. If you want email info on the event, just sign up on the Big Slick website. Poker as it should be: hole cards and commentary. More pure Friday poker: hole cards and commentary. Poker pro uses pure stats to break down UFC 169. Forget heart, let’s look at the numbers. If you follow the career of poker pro Jason Somerville then you know that perhaps the one thing he loves as much as playing poker is MMA and, especially, the UFC. 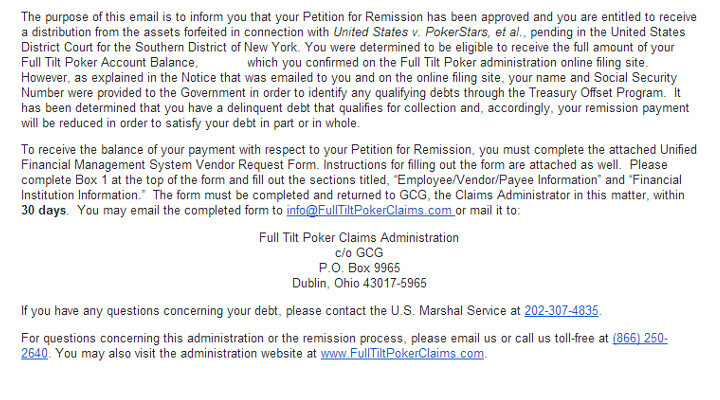 That’s partially why his Ultimate Poker sponsorship is such a good fit. Now, it looks like the brass at UP like his enthusiasm so much they are sponsoring a YouTube style pre-game show where Jason ditches all the talk about toughness and heart and gets right to what poker players value the most – the numbers. He’s taking a purely analytical look at the fight card of UFC 169 (Barao vs. Faber) and helping you put your money where the math is. Somerville seems to really know his stuff so if you like the UFC, give this video a few minutes of your time. Speaking of Jason Somerville, he’ll be a panelist at this year’s Poker Player Panel at iGaming North America conference…if you are in Las Vegas, be there. 10 Million Dollar First Place Guarantee? What looks to be a partial schedule leaks online. 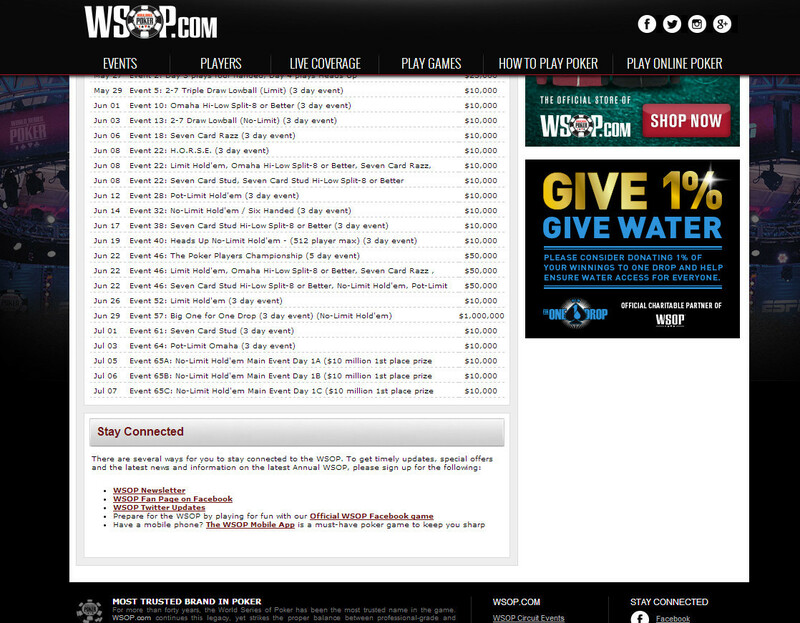 Sleuths over at Two Plus Two screen grabed what looks to be a partial schedule of the 2014 World Series of Poker from the WSOP website. Included are dates and buyin amounts for most of the 10k Championship events, the $50k Poker Players Championship and the $10k Main Event. The surprise in the schedule looks to be that, if this graphic is genuine, that the Main Event may come with a $10 million dollar first place prize guarantee. If so, that would make it, at least, the 2nd largest WSOP 1st place prize awarded, the most since Jamie Gold’s $12 million victory in 2006. 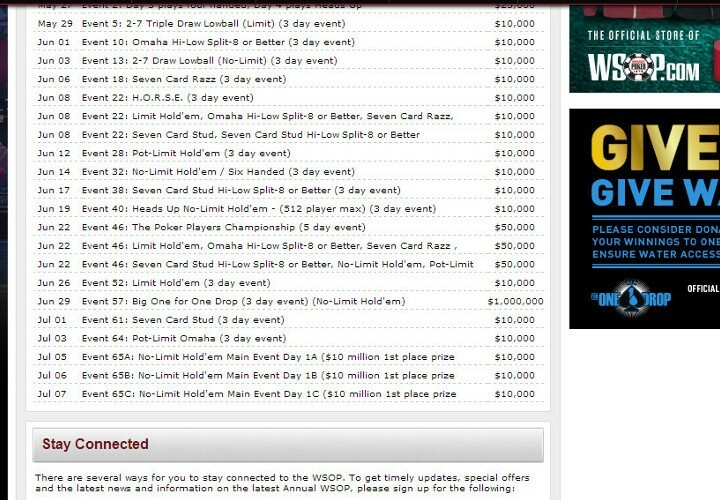 This graphic has not been confirmed by WSOP. So, take it with a grain of salt. Easy game: if you could be any single poker player for 24-hours, who would it be? 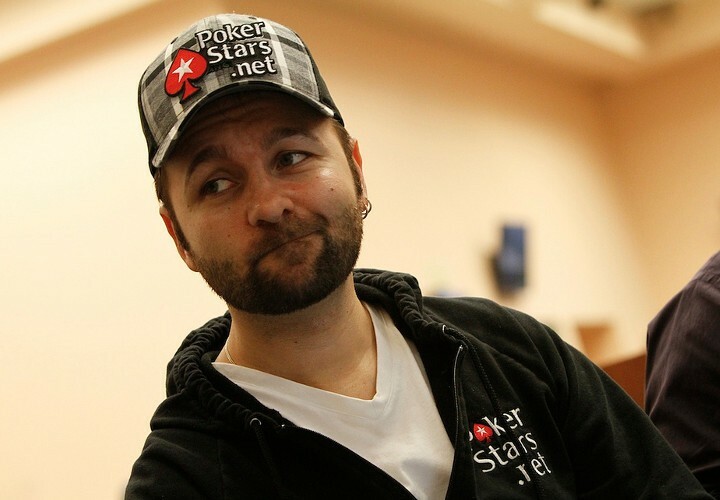 Daniel Negreanu and other PokerStars pros were faced with this questions and most gave the same answer – can you guess who they said? The lone hold out, ElkY, who hems and hawes through the majority of the short video and finally gives an answer worthy of his quirky reputation. Answer it for yourself, then hit play. Online pro becomes the first Triple COOP winner. All Buchanan does is collect trophies (and money). It would be great to win a single PokerStars COOP (Championship of Online Poker) title, let alone three. 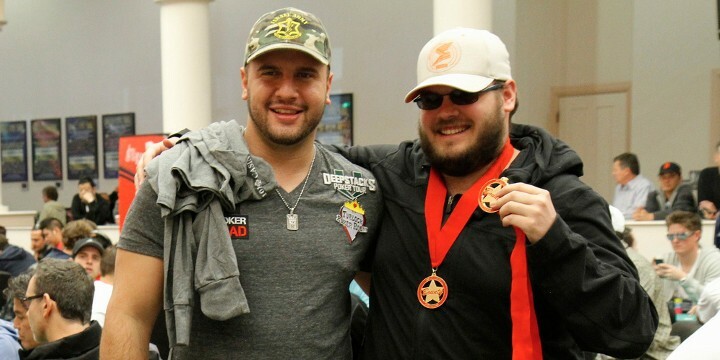 That’s what Shawn Buchanan did, but to make it even more amazing, he won one in each of the three COOP series: WCOOP (World Championship of Online Poker), SCOOP (Spring) and TCOOP (Turbo). The latest being his Razz TCOOP victory which put him in the online record books (and made him $14k richer). Pretty sick. Especially when you take into consideration that Shawn already has over $5m in LIVE earnings, 2 PCA event titles and a WPT Championship. Really, the only thing he needs at this point is a WSOP bracelet. If you want to check out how he collected all his online hardware, check out a full write up over at the place for online poker stats, Pocketfives. Well done! A true masterpiece with an oscar-worthy performance by Dale. “C’MON SON!” – Dale bringing Popeye into the modern era. We love us some Dale 'Daleroxxu’ Philips, he’s a prolific blogger, Team PokerStars Online grinder and fantastic podcast guest. With that in mind, what is going on in this video? Dale, visiting Sweethaven, the town built in order to film the 1980 Robin Williams vehicle “Popeye” (the live action movie based on the cartoon for all you young’uns) got wrapped up in a bizarre Popeye remake where he is playing a violent, woman hating thug which Popeye and his spinach must defeat. We have no idea if you are going to be able to get through this video, but Dale is the handsome lad in all black who is dropping modern slang in his fight scenes and has a star making performance as a man who can’t take no for an answer might. Maybe this will take his YouTube fame to the next level! We definitely had a laugh at this one, which we firmly place in poker’s WTF files. Remission coming soon, unless you owe the US gov’t. This quasi-interesting thread popped up on Reddit yesterday as a user names “Lokaji” posted that he received an official email from the Garden City Group stating that he’d been approved for repayment from Full Tilt Poker...but that it was all going to outstanding debts to the US government. It’s not a shock that this was a possibility or probability if you owed, but just in case you were hoping you might get away with it, here’s an indication that you won’t. Season XII Championship brings the WPT back to Borgata. As the Borgata Winter Open heads into its final table today the World Poker Tour doesn’t want players to forget that it’ll be back at the Borgata in no time. When the WPT switched coasts for its Championship event, for the first time, it made headlines. Now, Mike, Vince and the gang don’t want you to forget where the event will take place and have you show up to the Bellagio looking for action. The World Poker Tour will be fist-pumping their way back to the Borgata this April and just so you don’t forget they’ve put out their dubstep-light fueled, action packed trailer to make sure you remember. European Poker Tour color commentator, and fan favorite, Joe Stapleton isn’t just a heady wordsmith. He’s also a European grade athlete and he shows off his mad jogging skills in this latest video from PokerNews. You see, Stapleton, in a promotion of sorts with PokerStars, was to accept a “challenge” from a twitter follower of #EPTLive. That challenge: run around the block/casino…5 times! Did he complete this task? He dominated. How did he fare? Well, you’ll have to watch. Perhaps a bigger challenge for Stapes was that of GPI European Poker Awards host and entertainer. How did he fare there? Katchalov, Kelly headline the final 16. 13 Players, winner take all. Doyle, Puggy and the World Champ Amarillo. Check out this old school “hour long” special on the 1973 WSOP. Go back to when Jack Binion was the TD and the 13 man field, each of which paid 10k of 1973 dollars, was considered an enormous field. WPT Champ Jared Jaffe looks for 2nd title. Players play to the Final Table. Reminder that the Borgata Winter Open will be live streamed at 4:30pm EST, so check it out at WorldPokerTour.com. Legend of the game talks about how he first got started. Looking a little like Joe Hachem himself, a shirtless Antonio Esfandiari holds his breath as he rights the ship. Getting ready to participate in the Aussie Millions, no doubt, the Magician gets in a little rest and relaxation cruising around Sydney. Katchalov, Kelly still in the hunt. Team PokerStars Pro finds last second success at EPT Prague. Team PokerStars Pro Theo Jorgensen takes to the PokerStars Blog to retell the story of his EPT Prague adventure. While the tournaments didn’t work out very well for him, just hours before he was to hop on the next flight out of town he found himself in a super high stakes cash game against an aggro casino owner who’d already taken him for a bit of a ride. A very surreal game was about to begin. In the very first hand, the casino owner doubles up by going all-in after a preflop raise. His AQ stood its ground, and that marked the start of the action. On the next hand he straddled to 20K ($1,000), and I’m in the big blind. Everybody folded to me, and I’m looking at AA, which adds to the surreal feel of the game. Call me old-fashioned, but with a hand like that, I decided to raise to 50K. I’m less worried about whether my opponent folds, as he likes to see flops, so the only question is whether he calls or raises. He called, and we get a flop of 2-9-10 with two diamonds. I bet half the pot and called immediately when he went all in. Twenty seconds later, I headed to the cashier, as two pairs also beat one pair in Prague. And as he had 2-T, I had to take the walk to the cashier. It’s a fun, quick read and just goes to show you that even the pros find themselves down and against all odds sometimes. Check out 'What Goes Around Comes Around’ over at the PokerStars Blog. Still looking for that defining live victory. Even though she’s been a Team PKR Pro since 2010, we’d like to introduce our readers to the Swedish charmer Sofia 'welllbet’ Lövgren. While mainly an online pro for the European online site, Sofia does make it out to live events like EPTs and the WSOP representing the site. Here she talks with new PokerNews reporter Felicia Field, who is doing a pretty great job on assignment in France, about her time in Deauville, traveling the world playing poker and her future plans. Guest starring guy with crutch on phone. If you want an Ivey League education, you gotta pay for it. No wonder the techie in the foreground looks so concerned…site crashed within 24 hours of launch! OK. While they are getting the site back up and running here’s the details. Three levels of membership: free for trolls who want to post on the forums and have access to some basic videos, $9/mo ($70/yr) to get some additional video content (Bachelors videos) or a whopping $75/mo ($500/yr) for all the goods (Masters videos and a monthly Q&A). Thus far, the only Ivey video accessible from the $9/mo plan and down is one of him shooting 3-pointers in Cabo. Ivey is going after the same poker training market as Run It Once, who has premium content from one of poker’s brightest minds, Phil Galfond, at a hefty $99/mo pricepoint. Run It Once also has a $9/mo membership which comes with a promise of one Galfond video a month. Maybe all of the Team Ivey Pros logged on at the same time. Yea, there’s a lot of them. Police easily nab the 73-year old Boxer-Briefs Bandit. Have gun, will travel… to jail. Meet 73-year old John A. Dougherty, a desperate man who allegedly took desperate measures. 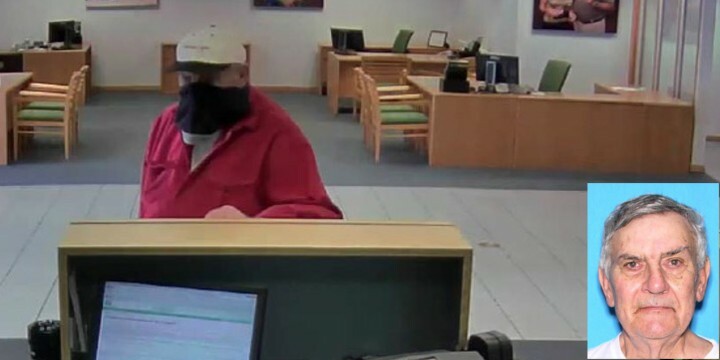 According to the Palm Beach Post, after having “gambled away his money on horses and Texas hold-em” the oldster decided to grab his shotgun, walk into a bank and rob the joint, according to Florida Deputies. All while wearing a pair of black boxer-briefs on his face. Lest you get too much of a feeling of sympathy for Dougherty, the shotgun was fully loaded and there were 8 people in the bank, 7 employees and 1 customer, all of which probably perceived their lives to be in danger. Well, clearly, with underwear on his face, Dougherty must have had a solid plan as he took his Walmart shopping bag, had the tellers fill it with $20s and $50s and made his getaway in his maroon Chevy SUV. All of which they have photos of. Bank employees put the cash and, of course, a tracking device in the bag, which helped authorities nab him. He quickly confessed to the crime stating that he needed the cash as he was on a fixed income and gambled his life-roll away. When he was found, Dougherty has $1800 in cash on him as well as the loaded shotgun, which Dougherty claims he never intended on using. The senior citizen is facing one count of armed robbery and eight counts of aggravated battery with a deadly weapon. A quick Google search confirms that Dougherty’s compiled charges are plenty enough to, if found guilty on all counts, keep him in jail for … well, longer than he likely has. Props to Brian Pempus and Card Player for digging up this gem of a story from last week. Play continues unitl 27 remain. Her name is Angélique Valez. Her job is to get you caught up on the situation at the World Poker Tour Borgara Winter Open. With 188 people started the day, including the incredibly stylish chipleader Lazaro Hernandez (above, guess which), it’s expected to be a grind to the bubble as only 128 people get to walk with any cash. The 2nd largest field in WPT history, according to the video, saw 1,229 runners take a shot at the $842,379 first place price. New PokerStars video resembles WSOP.com’s “Talk Like You Have A Pair” campaign. This video is strictly for beginners. Online behemoth PokerStars takes a page from the recent WSOP.com campaign where they try to get new players to talk the talk. “Nuts”, “Hole Cards” and “Set” are the words of the day but…well…we think they kinda mess one up! Maybe PokerStars should have stuck to one of the other most basic, easy-to-learn, non-disputable words/phrases out there like: Felted, Tilt, Busto, Death By Quads or Snapped Off. You know, terms that will really get a new player to get excited about the game. Every nationality has a general aura about their poker game and it seems that the French, with all due respect to ElkY, have a long way to go in building up theirs. Now you can really bomb the river. No tougher poker set out there. Now here’s a poker set that Dan Bilzerian can get behind. 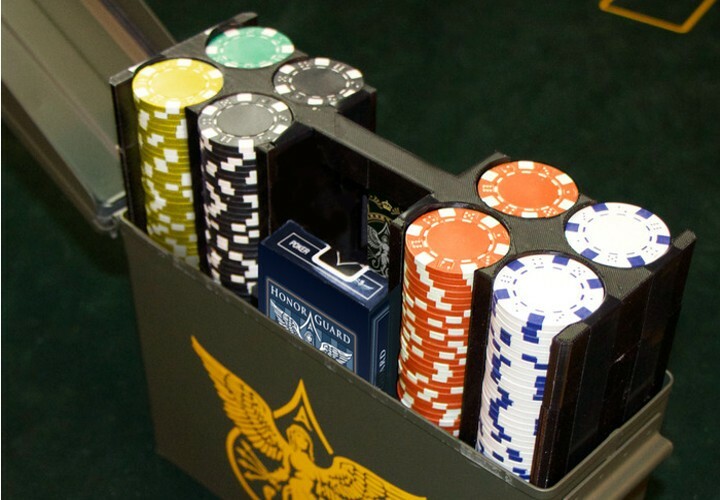 Check out “The Ammo Can Poker Set* courtesy of Man Crates. It’s a fully customized 300 piece poker set wrapped in an .30 caliber artillery canister. So when you and your buddies are firing multiple bullets in your home game re-entry get-high-eat-steaks tournament, you can do it in an orderly fashion. It’s custom from the ground up including the dual deck military design and the 300 piece chipset. Now that you’re way into this idea, here’s the only problem…it’s sold out. For now. You can hit up the dudely dudes at Man Crates and get them to create more. How’d they do that? It all came from an idea and a Kickstarter campaign, where they raised over $22k to get the job done. So, head over and check it out on Man Crates. Katchalov starts the day top 5 in chips. Behind the scenes at her latest photo shoot. In an outfit no parent would let their teen leave the house in,* Team Winamax* charmer Gaëlle Baumann is ready for her close up…again. You might remember Baumann from her deep run in the 2012 WSOP, something that her Team Winamax profile heralds as the best performance by a woman in 17 years. If not, then Winamax plans on having you remember Baumann for pulling off poker’s version of Wonder Woman. Anyway, here’s a pretty cool behind the scenes snapshot at her latest photo shoot. Playfully pets baby lions from the MGM resort. Apparently, it’s not enough that popular poker pro Joseph Cheong spends his days playing high stakes poker with a bunch of sharks, now we find his messing around with lions. Cheong, who famously took 3rd in the 2010 World Series of Poker, is known for being fearless on the felt and here we see him messing around with some lion cubs in his spare time, acting as if he’d never heard of Sigfried and Roy. I guess when you have lived through this hand with Filippo Candio on the biggest stage in the world, it must be easy to mess around with baby lions. If you are into the German poker scene then you may know Natalie Hof, but for most of you this video will be an introduction to the poker presenter and friend of PokerStars. In this short vid from PokerNews, Hof answers a series of getting-to-know-you questions from host Felicia Field, who’s new to the scene herself. Hof dodges some questions about beauty, champions the players from her native Germany and dishes out a key piece of advice for anyone who finds their way on camera. Stapes talks about hosting the European Poker Awards in Deauville. Joe Stapleton, right, indends to keep it classy for the 13th Annual GPI European Poker Awards. European Poker Tour color commentator Joe Stapleton is one of the best in the business when it comes to cracking jokes and talking poker. So much so that the Global Poker Index tapped him to be host of the 13th Annual GPI European Poker Awards. In this interview with GPI’s Eric Danis, Stapes cracks wise about being an American living in London, the popularity of his work on the EPT Live Stream and his old gig at PokerRoad, and what it’s like to work with the Belgian beauty Gaëlle Garcia Diaz. The ceremony is set to take place tomorrow, January 29, at the Caino de Deauville as a part of EPT Deauville. 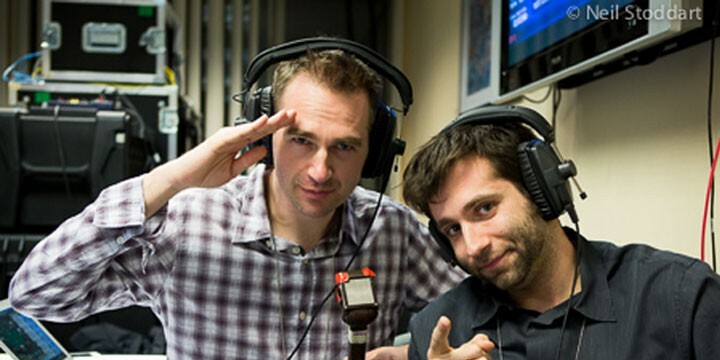 Check out the full interview with @Stapes right here. All In Magazine takes you behind the “hipster blogger” curtain. Enjoying the limelight but feeling the criticism. Check out another smartly produced piece from All In Magazine. This time they talk to PokerNews on-camera talent and small time poker celeb in her own right, Kristy Arnett. From the halls of the Atlantis, Kristy talks about the hard work and malnutrition that goes into bringing poker fans a vast amount of coverage from any given live tournament. What’s the hard part? Getting rejected both from the players to do interviews and even the fans for the finished product. The reward: getting to experience remote locations from top to bottom. If you are a poker media consumer, you’re sure to enjoy this vid. James and Joe call featured table action. Allegations that Goldman vanished with millions of investor money. Nigel “The Guru” Goldman, the author of “Make a Million from Online Poker”, may have found another way to “make” a million—by making off with millions that aren’t his. That’s right, this so-called “high rolling poker champ” and poker author is on the run from authorities after allegedly scamming “investors” for roughly €3million Euro, according to the DailyMail. This may just be a case of the old “fool me once” adage, as Goldman had already been to prison for fraud…twice. He wrote about it in his book “High Stakes: How I Blew £14 million”, and it looks like he may have done it again. His clients can’t reach him, authorities can’t catch him and the only trace of him seems to be a text message sent a couple weeks ago. Lawyers and authorities are still looking, but no warrant has been issued for his arrest yet. As for his poker resume, well, that too looks to be suspect as, according to the Hendon Mob, he’d have to be one hell of a cash player to live the high life based on his posted results. Additionally, *Pokerlistings reviewed his book and said that it was for “neophyte players”...not exactly going to make you (or him) millions. After a couple of years playing in my local poker club and on line I have just started playing in decent level competitions, and was delighted to reach the final table on my second comp in the Spanish Championship in Gran Canaria recently and was also pleased to knock Victor Chandler out of the Puerto Banus invitational,finishing second overall. I believe my game is in its infancy and improving all the time, hey, if you don’t believe in yourself, what chance have you got! There’s a glimmer of hope though, his friends say he’s in Morocco, so maybe he’s just playing hard to get and he’ll be back for the cats, with the cash, soon. 2013 November Niner JC Tran plays on the final table. PokerStrategy nominates the 5 most dangerous prop bets. “I get paid if he dies” – Mike Matusow, the loser of one of the most famous prop bets. When there’s a good article out there that’s worth checking out, we’ve got you covered. Barry Carter over at PokerStrategy took a look back at some of the most dangerous prop bets to ever hit the poker circuit. From swimming with sharks to picking an unprovoked fight, these are some prop bets that – had they gone sideways (and some of them did) – could have lead to some real damage being done. While all of those are incredibly dangerous, we submit one more for consideration. Shaun Deeb dresses like a woman for the 2010 World Series of Poker Ladies Event. Talk about taking your life into your own hands. Sure, it’s not dangerous in the traditional sense, but, according to the story, Deeb lost a “prop bet” in which he had to drag himself out of bed and register for the Ladies Event. If you thought that those women were amused at his antics, think again. While it’s debatable as to whether he was risking his life, he certainly risked his reputation as the backlash from his bet gone wrong almost killed his adorable public persona. So much, in fact, that Deeb had to issue a public statement of apology. As long as there are action seeking junkies in the world of poker, there’s going to be dangerous and ridiculous prop bets. Miss the previous link? Go read PokerStrategy’s article on the 5 most dangerous prop bets. Only tears of joy as Mcmatto takes down Borgata side event. 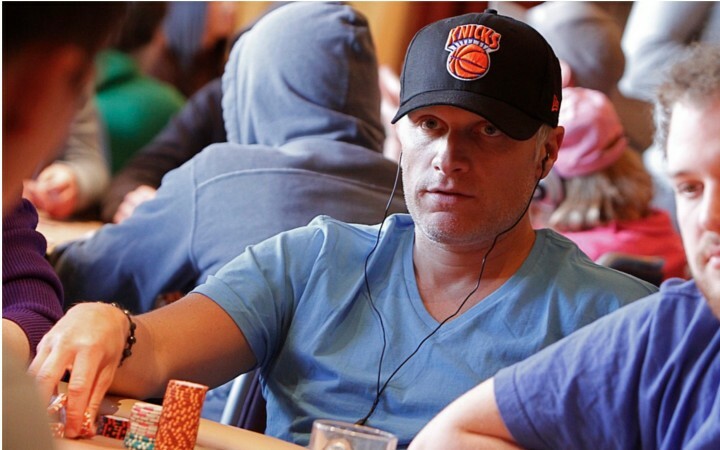 Most know Matt Affleck for having taken one of the most devastating televised beats ever at the 2010 World Series of Poker. Of course, readers of F5 know Matt for letting Matt Savage take unflattering New Year’s Eve photos of him and then posting them to the internet. This weekend, none of that mattered as Affleck proved once again why, when it comes to poker, no one should cry for him. 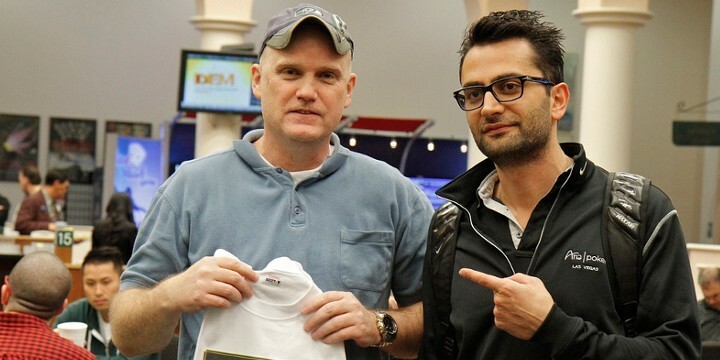 Just before the Borgata Winter Poker Open Main Event kicked off, Affleck found himself the winner of Event #15, the $200k 6-max guarantee (w/ re-entry), for a payday worth more than $88k. Those funds will no doubt throw one hell of a Super Bowl party as—outside of crying on TV—Affleck is best known for being an avid Seattle sports fan. You can now watch hours of high stakes action from 2012 Aussie Millions. Just because it’s the beginning of the week, doesn’t mean you have to work. As a part of Full Tilt Poker's celebration of Australia Day, the one time proud sponsor of the Aussie Millions Poker Championships tournament series has recently uploaded hours of new video content from 2012. This includes full episodes of the 2012 Aussie Millions 100k Challenge, the $250k Challenge and the super high stakes cash game. Of course, you can binge watch all of the action that took place at the Crown Casino on FTP’s easy to remember YouTube Channel. Two more segments from the PNIA session with Scotty. It’s the weekend baby…don’t act like you’ve got real work to do. Can you guess how many times Scotty says “baby” in total throughout these two videos? We’re all out of witty banter when it comes to these segments. But website stats don’t lie…you like to watch them. So here you are friends, another pair of Scotty parlor tricks where the Poker Hall of Famer dazzles the captive audience from Poker Night In America.